One strand of 50 opaque avocado green (I'm calling this pea green because it really does look like the color of green peas!) 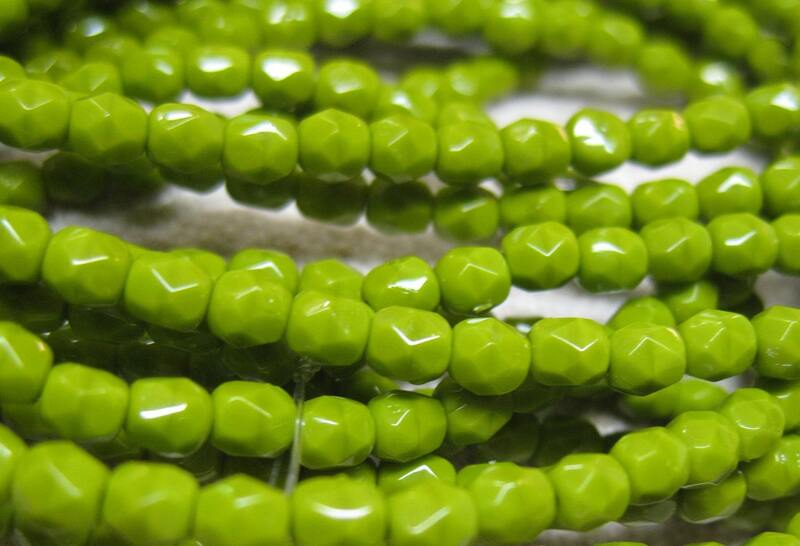 Czech firepolish crystal beads measuring 4mm. Add some sparkle to your jewelry creations! We have lots of firepolished crystals in many colors.